Losing his own voice helped him to find voice for others and how that changed the whole dynamic of his own company and became a message for the 21-century Leadership. 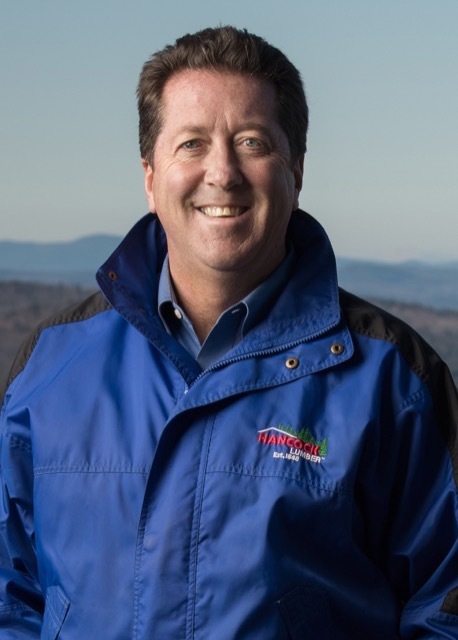 Kevin Hancock is the President of Hancock Lumber Company. Established in 1848, Hancock Lumber operates ten retail stores and three sawmills that are led by 460 employees. The company also grows trees on 12,000 acres of timberland in Southern Maine.Hancock Lumber is a multi-year recipient of the ‘Best Places to Work in Maine’ award. The company is also a past recipient of the Maine Family Business of the Year Award, the Governor’s Award for Business Excellence, and the MITC ‘Exporter of the Year’ award.Kevin is a past chairman of the National Lumber and Building Materials Dealers Association as well as the Bridgton Academy Board of Trustees. Kevin is a recipient of the Ed Muskie ‘Access to Justice’ Award, the Habitat For Humanity ‘Spirit of Humanity’ Award, the Boy Scouts of America ‘Distinguished Citizen’ Award, and Timber Processing Magazine’s ‘Man of the Year’ Award. Kevin also spent 20 years coaching middle school basketball for the Lake Region school district. 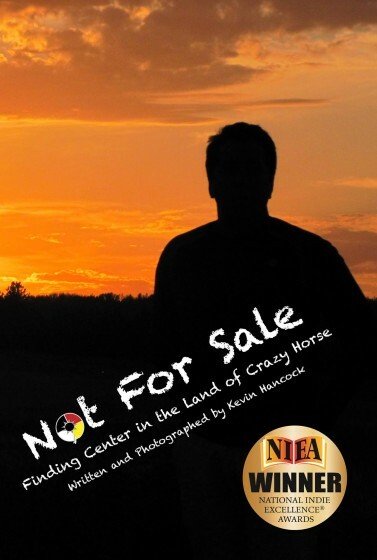 The book won the 2015 National Indie Excellence Award, first place in leadership and runner-up in the spirituality category. Kevin is an advocate of strengthening the voices of all individuals—within a company or a community such as Pine Ridge—through listening, empowering and shared leadership. In 2010, at the peak of the housing market collapse, he began to have trouble speaking. When he want to talk, all the muscles in his throat would spasm and contract. Worse yet, talking left him dizzy, sore and not wanting to say very much. Later that year he was diagnosed with spasmodic dysphonia (SD),a rare neurological voice disorder. SD has no known cause or cure and affects only speech. The two treatments are periodic Botox injections (chemical) and seeking a deep sense of inner peace and calm (spiritual). As a forced response to the disorder, he started talking less at work. He shared the stage more broadly, inviting others to lead meetings and events that he traditionally would have controlled himself. It didn’t take long before magical changes began taking place. He quickly saw that the company functioned better when more people led. In addition, he was able to put a bit more balance into his life and saw how that, in turn, made him more valuable and useful for others. By 2012, he came to see his voice condition as a blessing, not a curse…as an opportunity rather than a liability. The opportunity was simple yet powerful: What if we could create an organization where everybody would lead? What if we could create an organization where every voice felt trusted, respected, important and heard? Wouldn’t an organization where everybody led outperform an organization where just a few, chosen people held all the cards? So, they went to work establishing systems and support mechanisms designed to make everyone’s voice stronger...employee surveys, team huddles, focus groups and more.It could all be a coincidence, but in the years that followed employee engagement (as defined by employees) soared and they performance took off to new heights as well. Around this time, Kevin fortuitously began traveling to the Pine Ridge Indian Reservation in South Dakota (statistically the poorest place in America). Over time he learned that before the reservation era when the Lakota people were strong, most of the power in their society went to the individual. The strength, freedom, responsibility and voice of each person was encouraged through tribal values, political systems and cultural rites such as the Vision Quest. After the reservation was established, pretty much all the power in their society was rounded up and placed in the governing center…with the Great Father in Washington, the Bureau of Indian Affairs and the Tribal Council. Under this structure of central over-reaching, the community suffered. Across time, those who hold the power have often over-reached…leaders often go too far. But around the world, the power of the individual is speaking out. Increasingly today we live in a world where each individual wants to seek and speak their own personal sense of truth., This is true for companies, churches, governments, and families. Kevin's conclusion; In the Aquarian Age leadership is about doing less not more. It is about restraint. It is about holding the power but not using it. It’s about listening without judging or correcting. It is about being connected and aware of how others feel. He has come to believe that organizations that embrace each individual voice as unique and important will, over time, outperform those who cling to a more traditional view of power. All this he came to learn by losing the consistent use of his own voice. That seeming liability turned out to be a blessing. 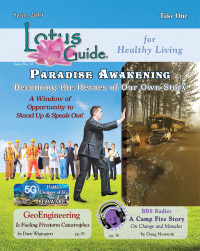 Kevin's voice disorder and his time at Pine Ridge combined to connect him more deeply with the essence of who he was and to want to help other do the same. We are all searching for our true voice. That’s the essence of being human. When leaders talk less and listen more, they guide humanity forward.